Stanza seems to be running again since its “demise” about a year ago. Good thing, too, as it gives you more choices in reading books on iOS, though development on the app seems to be frozen up to now. There are, of course, many ebook readers on the iOS app store for the iPhone, the iPod Touch, and the iPad, including Apple’s very own iBooks app. 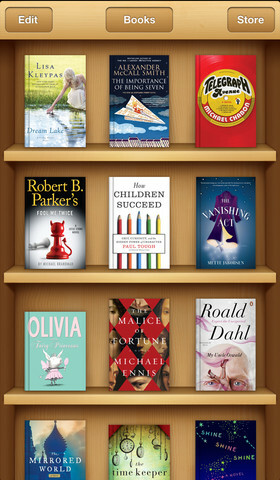 The following are some of the best, free ebook readers for iOS. Note that while the apps are free, many books need to be purchased from an ebook seller. Free books are available online on Project Gutenberg and other websites. iBooks. Made by Apple, iBooks is easy to use, though it tends to be sluggish on older iOS devices such as the iPod Touch. As an ebook library manager, it is excellent as it allows you to arrange your books on your virtual bookshelf. Features: Support for epub and PDF. Add books using iTunes or add from email. Choose from seven fonts, three page colors, and three page layouts (book, full screen, and scroll). Share quotes or notes on Facebook, Twitter, Messages, or Mail. 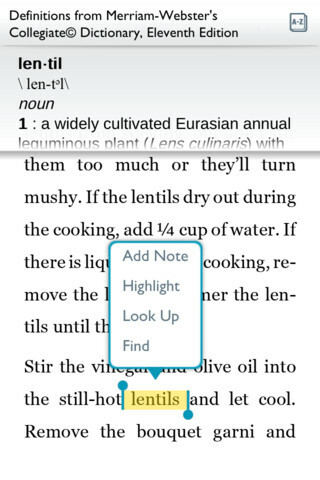 Use built-in search to find words and phrases within a book. Support for 18 different languages. Syncs with other iOS devices via iCloud. Sync: Will work on iPhones and iPads, of course, and will sync bookmarks, notes, and highlights among your iOS devices. Bookstore: Apple iBookstore, not available in many countries. See which countries can access the iBookstore. Stanza. Stanza—made by Lexcycle and now owned by Amazon—seems to be up and running again, on iOS 5 and iOS 6. Stanza is a likable, speedy, easy-to-use app that nevertheless gives you several options for displaying book pages. Seems Stanza won’t work with DRM protected books, even those bought from Amazon. The good thing is that it supports several ebook formats. Features: Supports ePub, eReader, PDF, Comic Book Archive (CBR & CBZ), and DjVu. Several themes, typefaces, and font colors to choose from. Pinch to zoom. Platform: Designed for both the iPhone and iPad, but won’t sync between devices. Bookstore: Get 50,000 contemporary titles from partner stores or an additional 50,000 free classics and recent original works available from Project Gutenberg, Feedbooks, and other sources. Kindle. 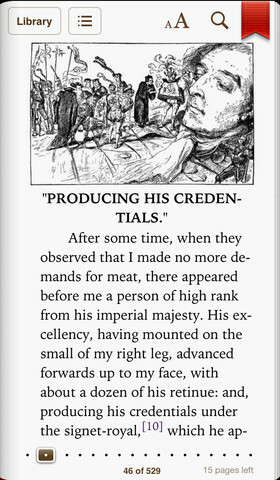 Kindle is a nice reader that lets you access books purchased from Amazon. Features: Read Kindle books, newspapers, magazines, textbooks, and PDFs. Get free samples of books. Download books bought from Amazon using the app. Add PDFs and documents using iTunes or from Mail or Safari. Also, add PDFs and documents using Send-to-Kindle email address and automatically archive on Amazon Cloud. Dictionary look-up. Use custom font sizes, backgrounds, and margin sizes. Syncing: Sync between iOS, Android, Mac, PC, the Web, and Kindle devices. Bookstore: Amazon.com, with more than a million books and periodicals available, depending on the country. Kobo. Nice looking app that also lets you read comic books. Bookshelf looks nice and clean and can be customized. You can also choose from different bookmarks. Features: Add books from email, the Web, Dropbox. Look up words in dictionary. Reading Life social features tracks your reading habits that you can compare with friends. Share passages, notes, etc. on Facebook and Twitter. Syncs with all Kobo apps using your Kobo account. Syncing: Syncs with Kobo Touch eReader and Kobo desktop app for Mac and PC. Bookstore: Kobo bookstore, with over 2.6 million books, newspapers and magazines. Nook. Get books from the Barnes and Noble bookstore. Features: Supports epub and PDF files. Syncs with other Nook devices and apps. Choose your own typefaces and font sizes. Adjust brightness. 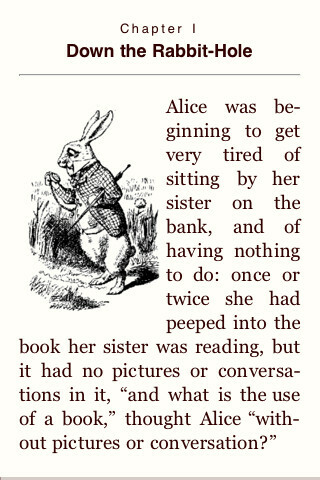 Search inside books, add notes, bookmarks, highlights. In-app dictionary. Lend books to friends and family. Syncing: Sync between iOS devices, Android, Mac, PC, and the Web. Bookstore: Barnes and Noble, with over 2.5 million books, newspapers, and magazines; free samples of books and trial subscriptions available. Do you have a favorite ebook reader app that’s not on this list? What do you like about your ebook reader? Read about the best ebook readers for OS X.